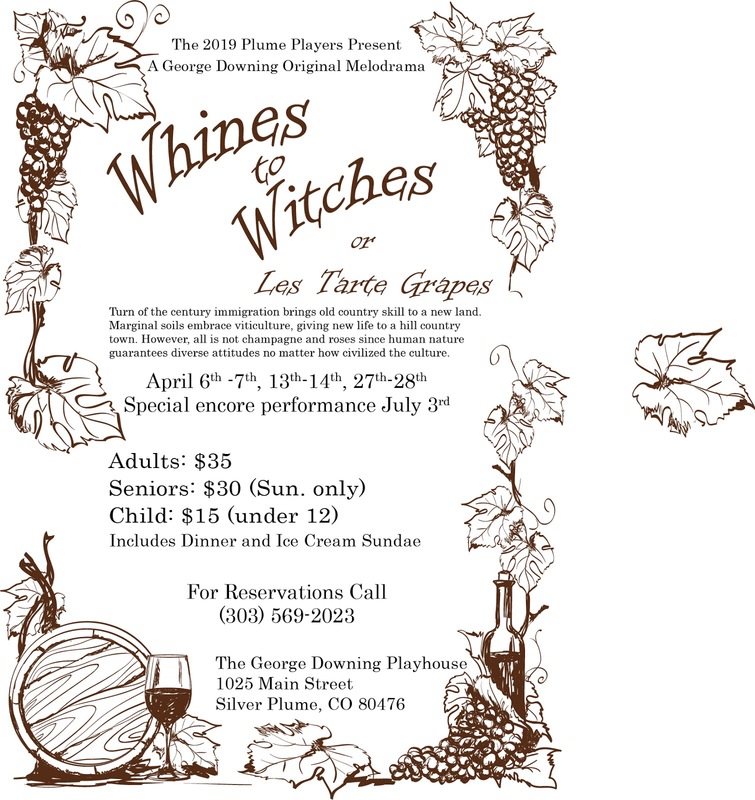 Silver Plume Melodrama: 2019 "Whines to Witches" Poster - print it, share it! 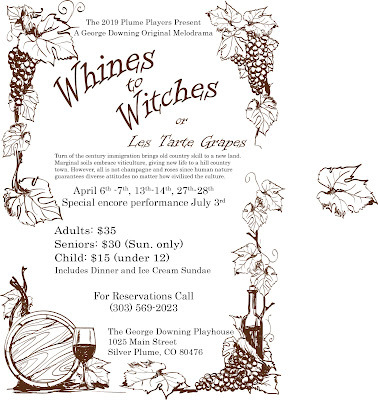 2019 "Whines to Witches" Poster - print it, share it! 2019 42ST ANNUAL GEORGE DOWNING ORIGINAL MUSICAL MELODRAMA WITH DINNER. APRIL 6/7; 13/14 & 27/28 PLUS REPRISE ON JULY 3RD - ADULTS $35 CHILD $15 RESERVATIONS 1303 569 2023 DOORS OPEN AT SAT 6PM SUN 5PM Click here to print, post and share. See you soon.